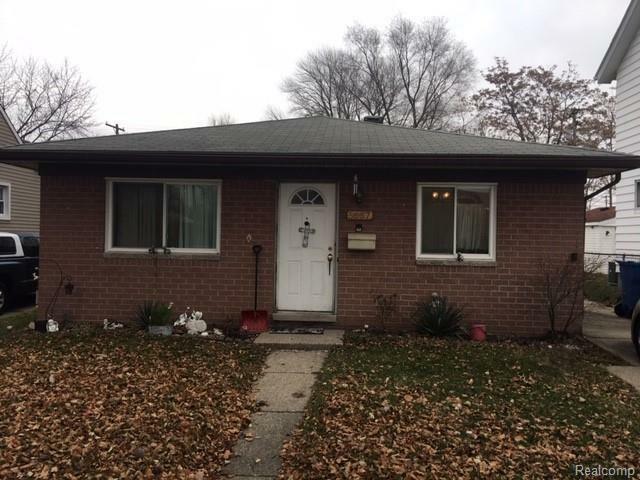 3 Bedroom Brick Ranch home with 2 1/2 car garage. Nearly 1,200 sq. ft. of living area including large living room, spacious kitchen and for those looking for a large master bedroom ---19' x 13' that has sliding door to private backyard. Bathroom is also a very spacious and updated. 2 1/2 car garage needs a new roof but offers lots of room and has cement floor in very good condition. All appliances - refrigerator, stove, dishwasher (almost new) washer and dryer all stay.Great home for 1st time buyer, elderly who wants to walk convenient shopping or just a solid home. Buyer will need to take on city repairs if any.